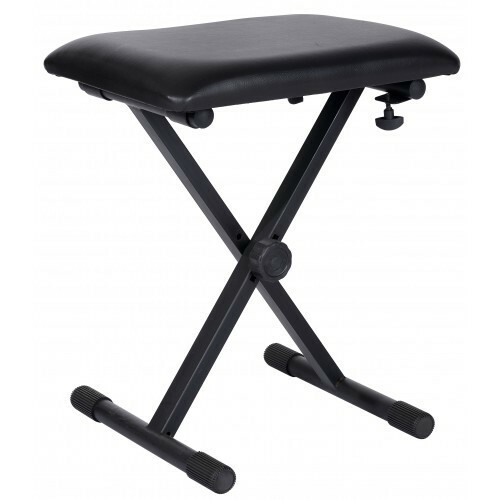 New 3 positions height adjustable keyboard bench made of painted tubular steel. High density foam padded and black PVC covered cushion. Available in matt black.